It was never the intention of Heinrich Bullinger that the Second Helvetic Confession be made public. The successor to Ulrich Zwingli in Zurich actually wrote it in 1562 as a private devotional exercise. Two years later, stricken during an outbreak of the plague, he revised the work in anticipation of his death. Although his wife and three daughters all succumbed to the dread epidemic, Bullinger survived. It was a propitious moment in history. The Council of Trent had just concluded its deliberations in 1563. 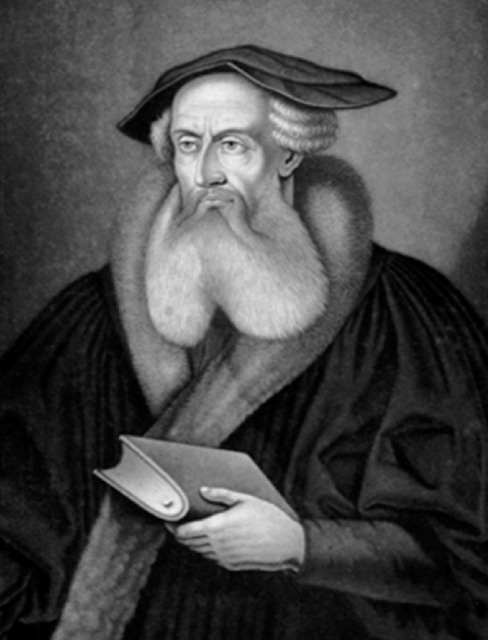 The definitive edition of Calvin’s Institutes of the Christian Religion was translated into German, French, Italian, and English later that same year. All Europe was abuzz with conflict, contention, and concern. Frederick III, Elector of the Palatinate and sponsor of the Heidelberg Catechism, asked Bullinger to prepare a defense of the Reformed Faith in preparation for the upcoming Imperial Diet in Augsburg. Bullinger sent him a copy of the succinct testimony, recopied from his journal: 20,000 words arranged into 30 chapters, covering everything from systematic theology to practical piety. Frederick immediately recognized the work’s richness and had it translated from Latin into German. In short order, all the Protestant cities of Switzerland (the old Roman province of Helvetii or East Gaul) affirmed its value as well. After a few minor revisions in 1566, the testimony, now dubbed the Second Helvetic Confession, was affirmed by the churches in Zurich, Geneva, and Berne—and was received warmly by the Reformed communities in Scotland, the Netherlands, Poland, Northern Italy, and Hungary. Today, next to the Heidelberg Catechism, the Second Helvetic Confession is the most widely utilized document to come out of the magisterial Reformation. Bullinger was a brilliant theologian, classical scholar, historian, and linguist. As the pastor of Zurich’s Grossmünster following the death of Zwingli, he was also renowned as a gifted expositor and preacher. But, because it was originally composed as private devotional exercise, the Confession is marked by a profound intimacy and a practical immediacy. Its sections on prayer, singing, Sabbath-keeping, care for the sick and poor, the role of civil government, and the character of marriage and the family, make it a compendium of everyday wisdom for the Christian life. But, it achieves this practical usefulness without ever compromising the profound depth of its theology and Biblical fidelity. Unapologetically grounded in Scripture, the Confession nevertheless makes a broad appeal to the whole of church history. Thus, the Second Helvetic Confession reminds us that good theology need not be arcane, that deep Biblical truth is always immediately applicable to the ordinary details of life, and that the Gospel, like Christ Himself, is the same yesterday, today and forever.